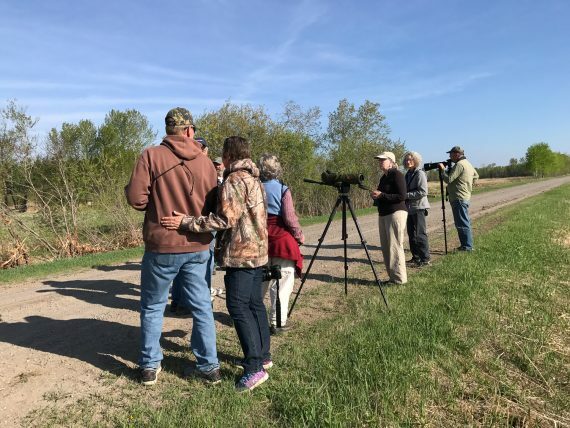 24 folks joined us for our second Warbler Wednesday of the season, including a couple from Washington state who are in the midst of a 3-week “warbler expedition” where they had seen 32 species so far. We helped them add two more…Connecticut (heard only) and Canada. 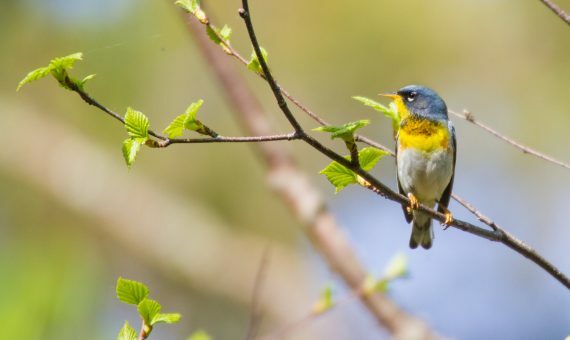 They will add 3 more on their way home to end up with an impressive 37 species of warblers! 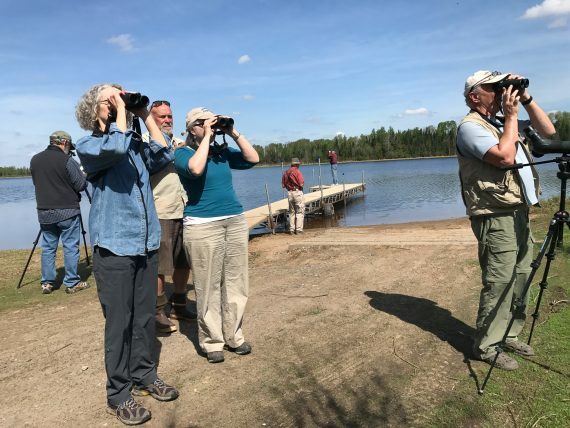 Jimmy from Oregon also joined us and his excitement for our more common eastern birds was infectious…including the Blue Jay! Sparky’s group found 81 species and combined with Clinton’s group’s totals we ended up with 99 SPECIES for the morning! Not bad. The weather was perfect with temps ranging from mid 40s to near 80 degrees. 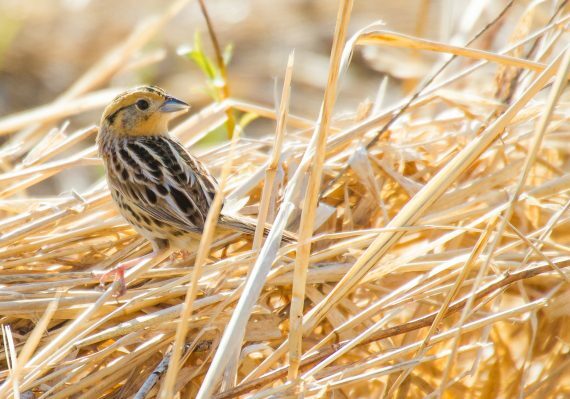 Highlights included several “southern” species that aren’t that common in the Bog (Wood Thrush, Yellow-throated Vireo), fantastic looks at the secretive LeConte’s Sparrow (photo included), American Bittern near the Welcome Center (photo included), dancing Sharp-tailed Grouse, close Black-billed Magpie, Bobolinks courting, Red Crossbills including juveniles (Clinton’s group) and 21 species of warblers including the aforementioned Connecticut, Canada, Blackburnian, multiple Golden-wingeds, Tennessee, cooperative Mournings and Black-throated Green. 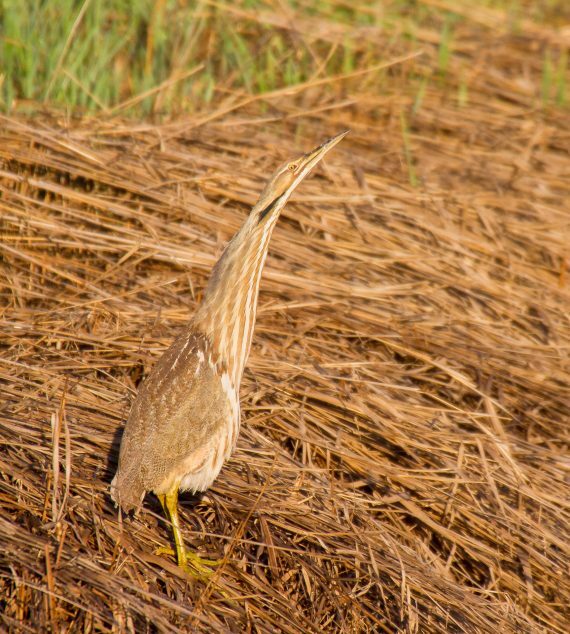 This American Bittern gave us a wonderful view in gorgeous light. LeConte’s Sparrow along Dart Road; A gorgeous sparrow with a flat head and buffy face and throat. 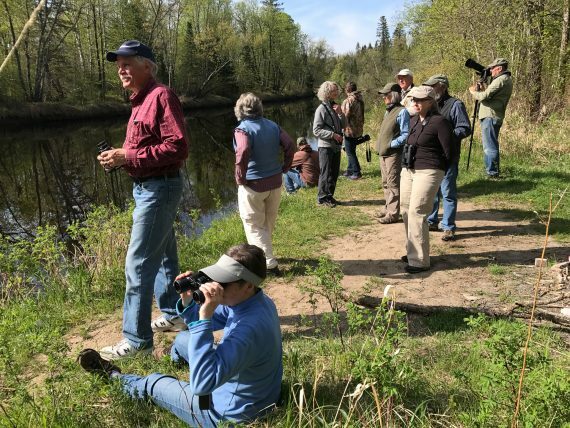 Birding along the Whiteface River. 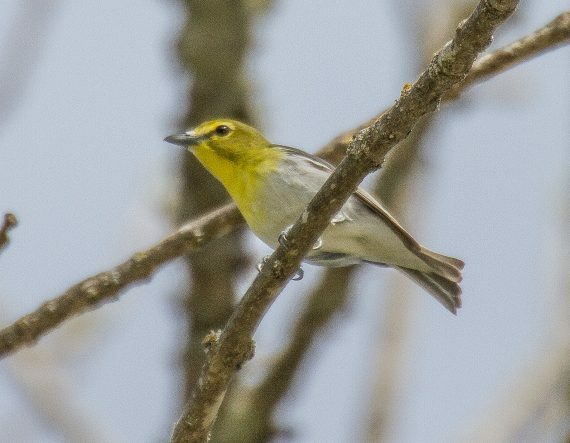 Checking out the “southern” birds along the Whiteface River…Wood Thrush, Yellow-throated Vireo and Great Crested Flycatcher. 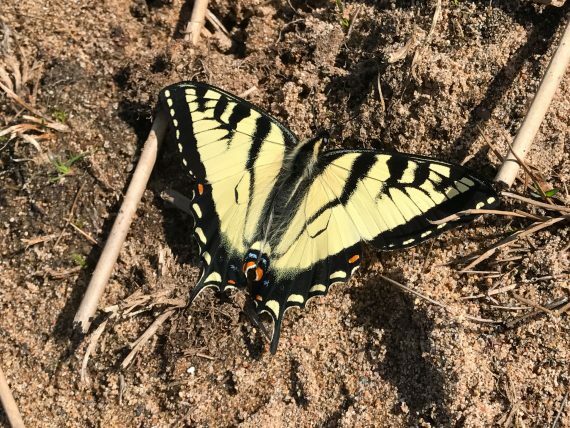 The first Tiger Swallowtail of spring; Males emerge first and replenish lost fluids along wet muddy roads and wet sand beaches. In a few days congregations may be a dozen or more at a single spot. This also facilitates mating, as later-emerging females know they can find “the boys at the bar” …sand bar that is. 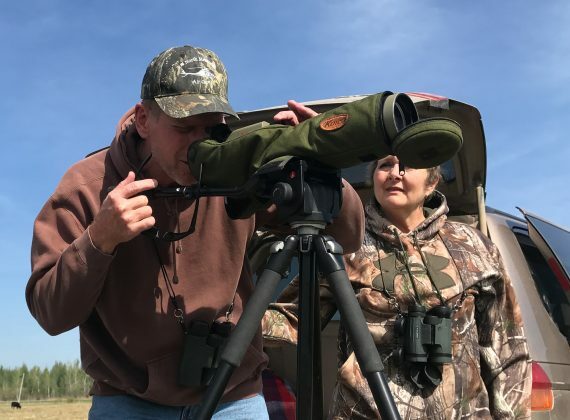 Checking out the waterfowl of Stone Lake.